With a pending visit to the new 17° C Dessert Cafe, it looked like we needed a savoury meal beforehand. Would it be too much food? Probably, but with the likes of Rick, Grace, Joyce, Jacqueline, Laurie, Nancy, Sophia, Amy and Diana in the house, we definitely had enough eating prowess. 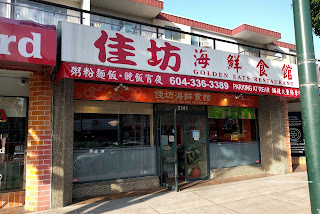 So to keep things in the same hood, we ended up doing a double ChineseBites night with our initial meal at Golden Eats Seafood Restaurant prior to the desserts. We started off strong with the XO Salted Duck Egg Yolk Crab tossed in a considerable amount of seasoning-related items. Hence, there was plenty of aromatic saltiness from the rich egg yolk. It was not wet nor was it too crumbly where it adhered nicely to each piece of crab. The XO was rather mild and stayed in the background. 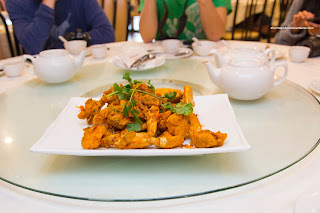 As for the crab itself, it was fluffy with some parts stuck to the shell. Raising the bar once more, we had the Lobster with Sticky Rice in Lotus Leaf. 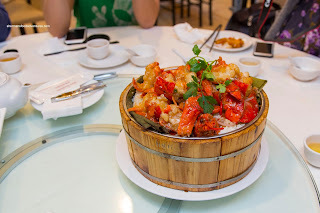 There was a considerable amount of chewy rice underneath the large lobster. I found it to be a touch dry with not nearly enough sauce to moisten it up. However, it was still decent in my books, especially with the sweet pop of corn niblets. The lobster was nicely prepared having a succulent rebound texture. Onto the 2 courses of Peking Duck, we began with the crispy skin and crepes first. I found this dish to be rather pedestrian where the crepes were dried out and chewy. The skin was an unattractive pale colour while the texture was a touch chewy and over-fried. On the other hand, the large lobster chips underneath were fantastic! I couldn't stop eating them. As per usual, the 2nd course consisted of the Duck Lettuce Wrap. Although it might be a small detail, the lettuce cups were far too wet for my liking. It literally watered down the product. Furthermore, they were hacked up where my piece was split 3 ways, making it difficult to eat without something falling out. As for the filling, it was decent where there was enough wok heat to evaporate any residual liquid (and easy on the grease too). 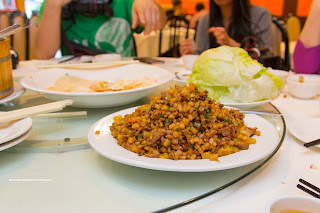 There was plenty of duck and crunch from the veggies as well. Moving on the fish dish, we had the Pan Fried Black Cod with sweet soy. I found the fish to be aggressively fried where the exterior was bordering on chewy. However, it was ultimately crispy, even with the dousing of sweet soy on top. Being a forgiving and oily fish, the black cod remained flaky and buttery inside despite the deep fry. There was enough sauce that the fish was completely seasoned (as it soaked in as well). Then a mysterious package in tin foil arrived. What was it? I decided to take charge and open it up. 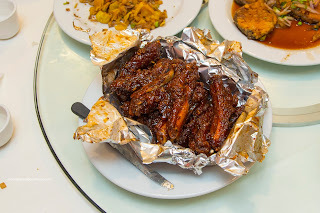 Inside, it turned out to be enormous Dark Vinegar Pork Ribs. These were crispy on the outside while completely drenched in a syrupy sweet glaze that had a mild tang. The meat itself was tender while still maintaining a meaty chewiness. 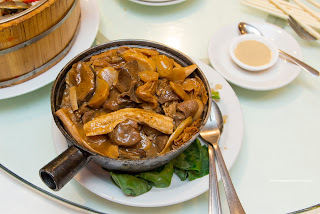 Completely stuffed full of meat, bean curd stick and water chestnuts, the Lamb Hot Pot was a solid item. Each piece of meat was succulent, lamb-textured (as in gelatinous, fatty and tender) and well-seasoned. 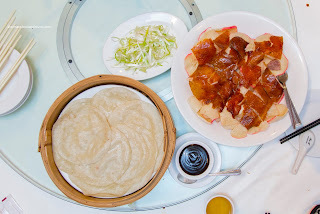 I enjoyed the bean curd stick since it still retained a bite (not being completely soft and falling apart) while being easy to chew. 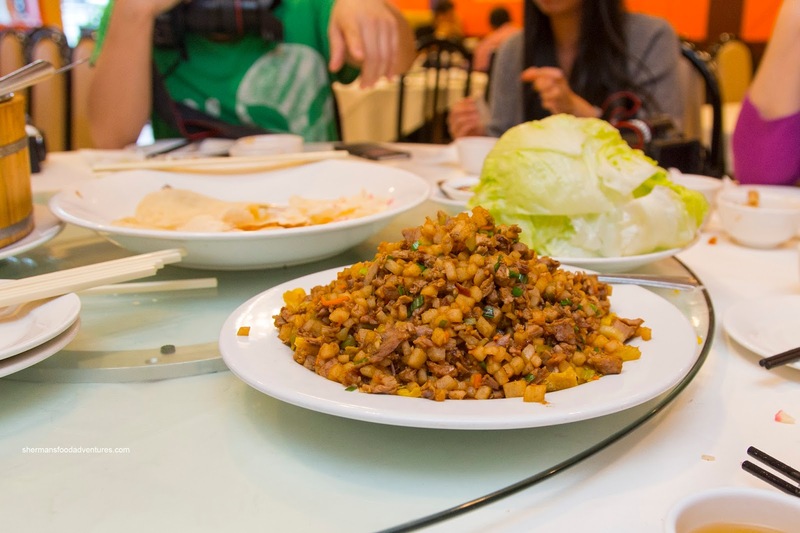 The big slices of water chestnuts provided a bright crunch. Arriving at the same time, the Soft Tofu with Diced Seafood was a touch gooey from the large amount of starch-thickened sauce on top. The tofu itself was soft and buttery though. As for the seafood, it was on point with cold-water shrimp and tender fish. As if this wasn't enough food for us, 2 hot pots hit the table. The first was an Oxtail Stew with red wine. 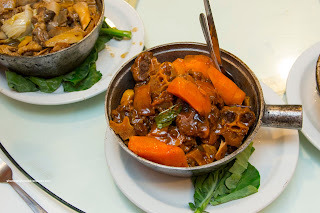 There was a plethora of meaty pieces with big chunks of slow braised carrots. Despite the impressive visuals, this dish ultimately disappointed. The meat itself was chewy and in need of more cooking time while the dominant flavour was that of brown sugar (the wine wasn't even detectable). 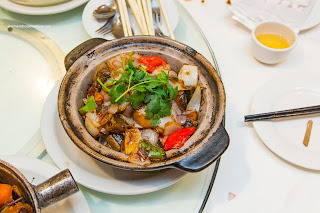 Right beside it, the Eel Hot Pot was equally full. I found the dish to be mildly seasoned even though there was sliced cured sausages nestled inside. The eel was in little pieces and rather bony (as it can be). The flesh was buttery and tender though without being mushy. 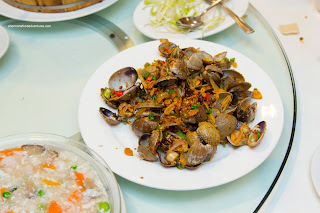 My favourite dish of the meal (and I suspect everyone else's) was the House Special Spicy Clams. 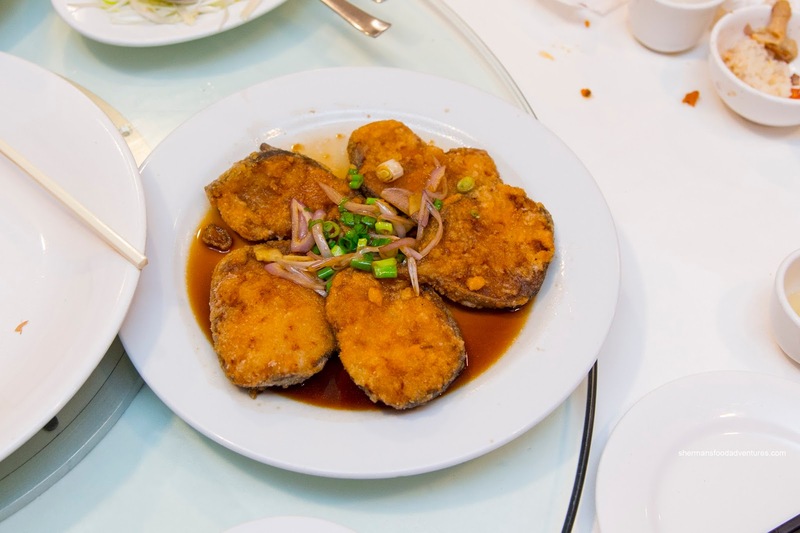 These were graced with an impactful mix of garlic, fried garlic and chilis. Furthermore, there was no excess moisture on the plate to dilute any of the flavours. 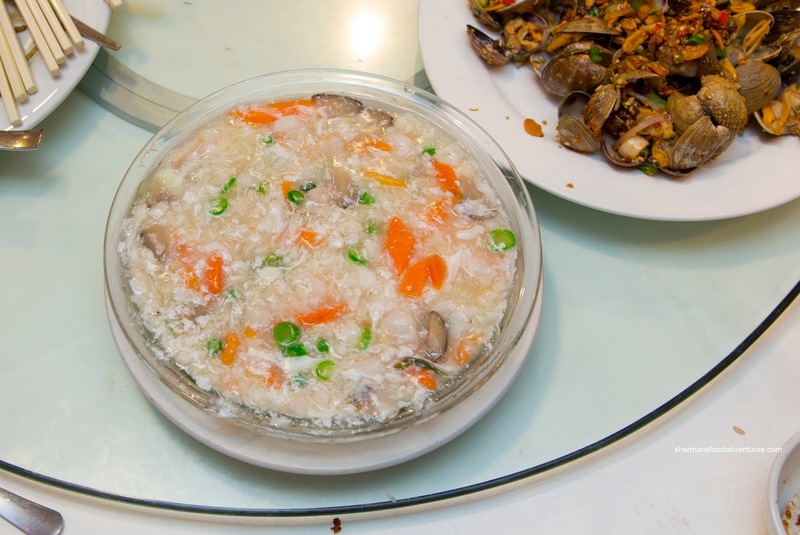 The clams were prepared expertly where they were buttery and just cooked through. 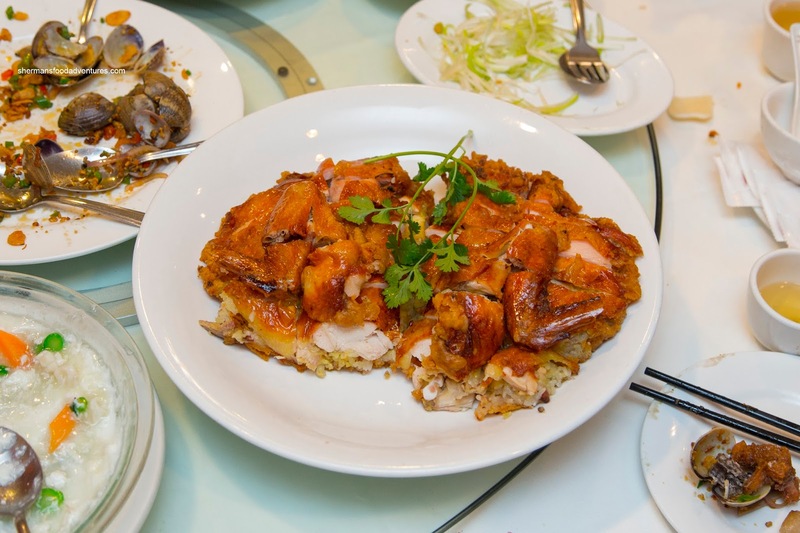 Our last dish was a special one being the Chicken Stuffed with Sticky Rice. Although it didn't look particularly succulent, the chicken was tender and moist (even the white meat). It sported a well-rendered and crispy skin on the outside. Underneath the meat, there was chewy sticky rice (that was not dry) which featured an appealingly crispy and light bottom side. At the end of the meal, it donned on me that almost everything was prepared quite well. A bit surprising for an unassuming restaurant along Kingsway.